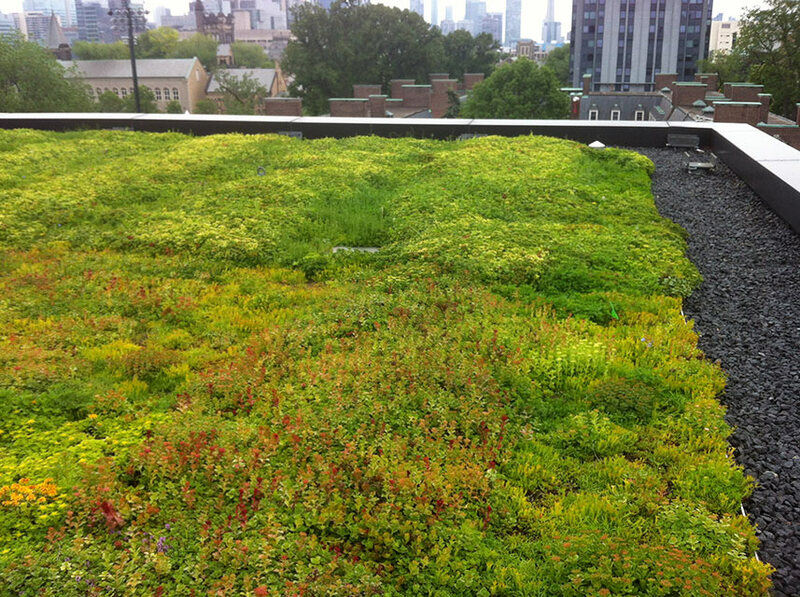 Client: Xero Flor Canada Ltd. 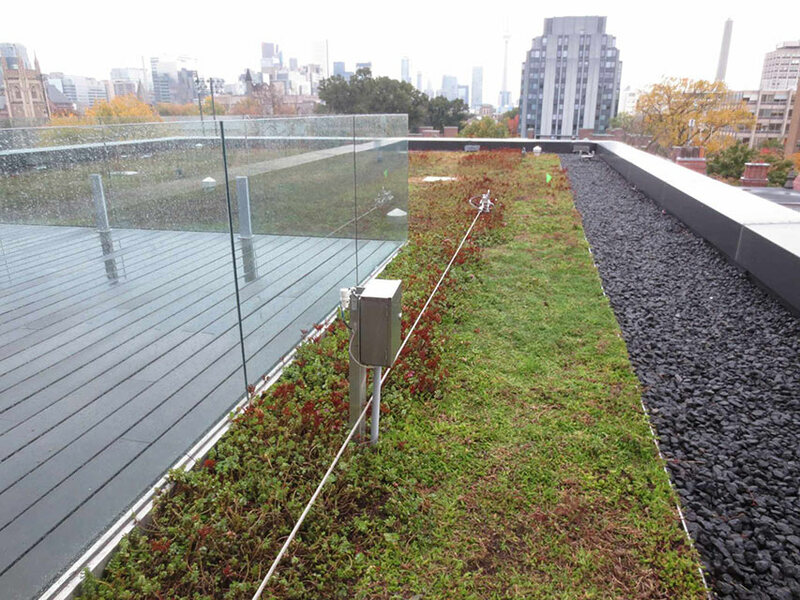 Installed alongside rooftop terraces, this extensive living roof provides a space for faculty and staff to enjoy the outdoors. 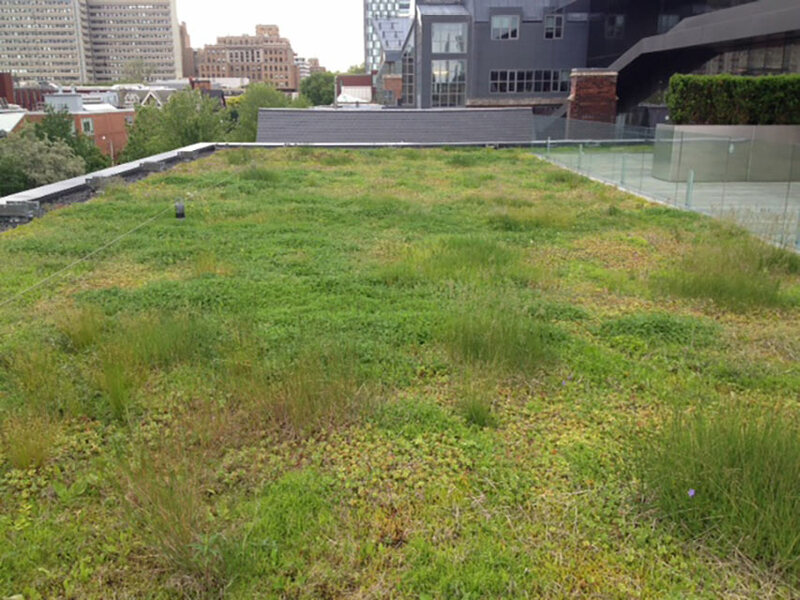 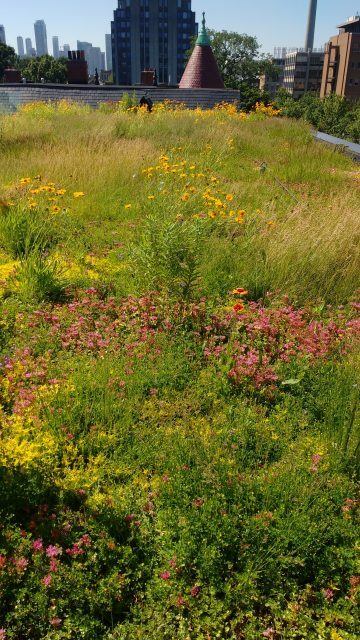 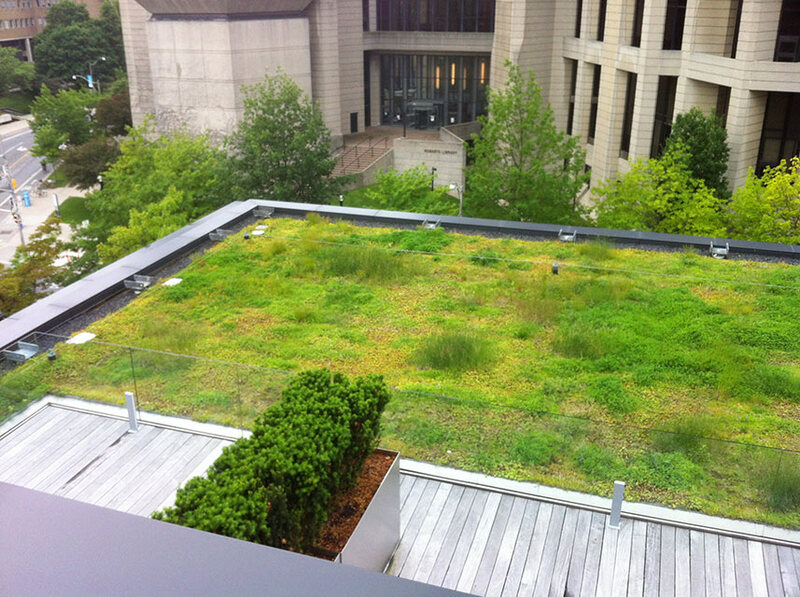 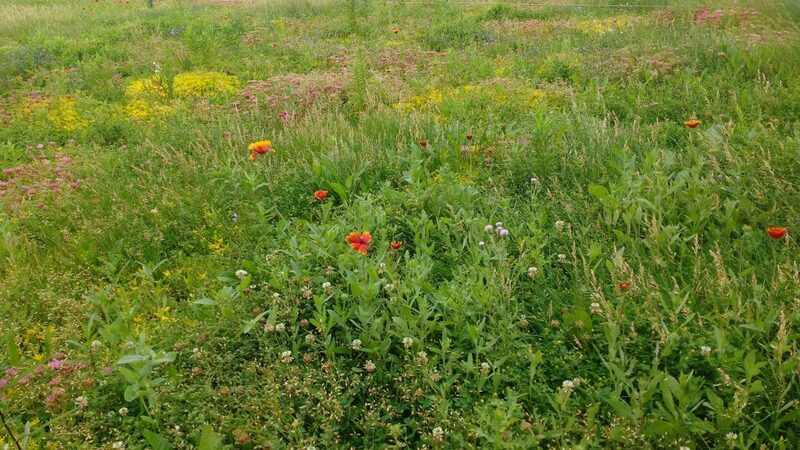 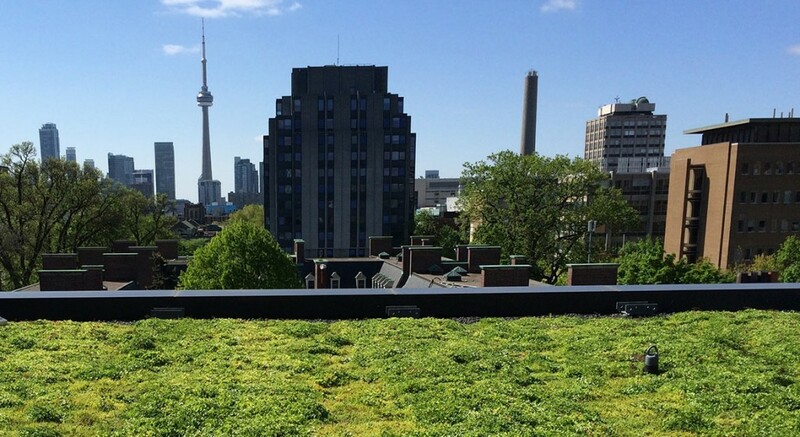 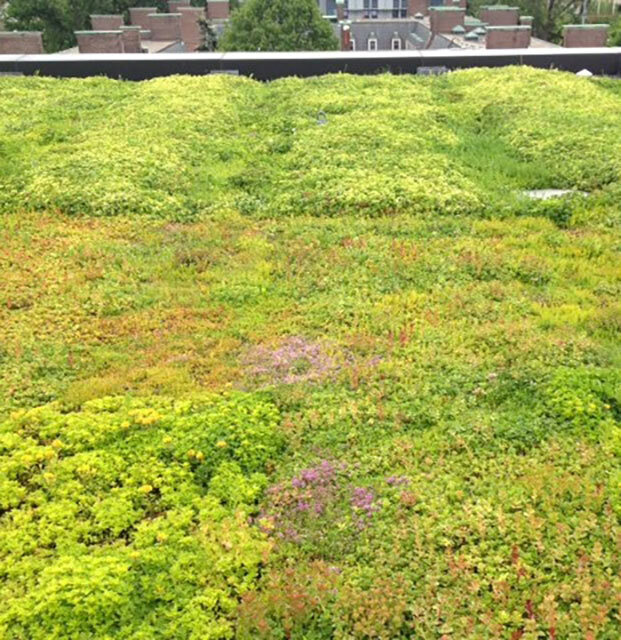 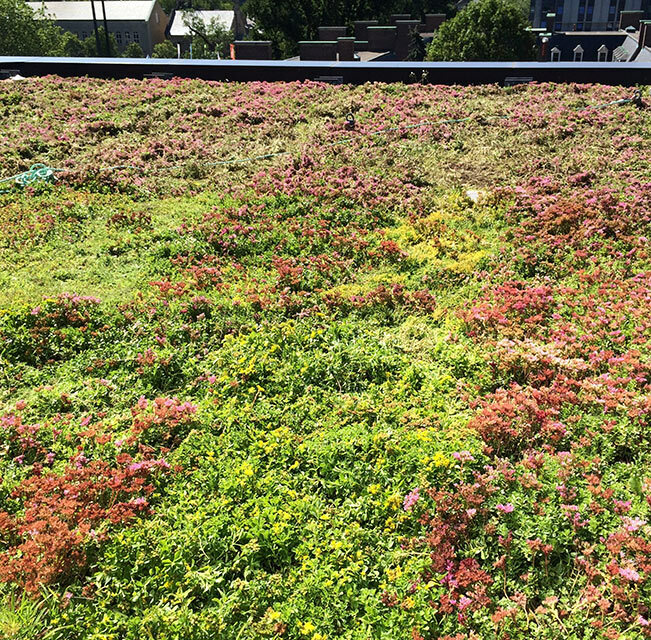 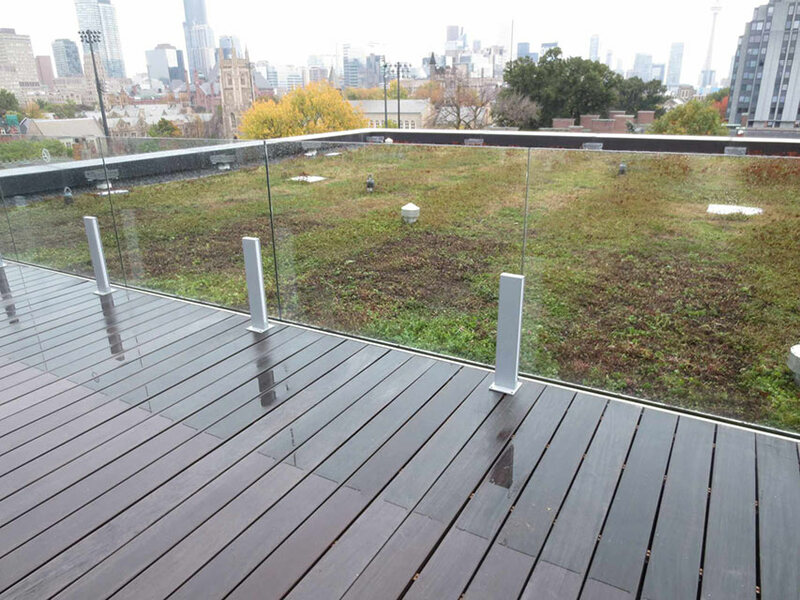 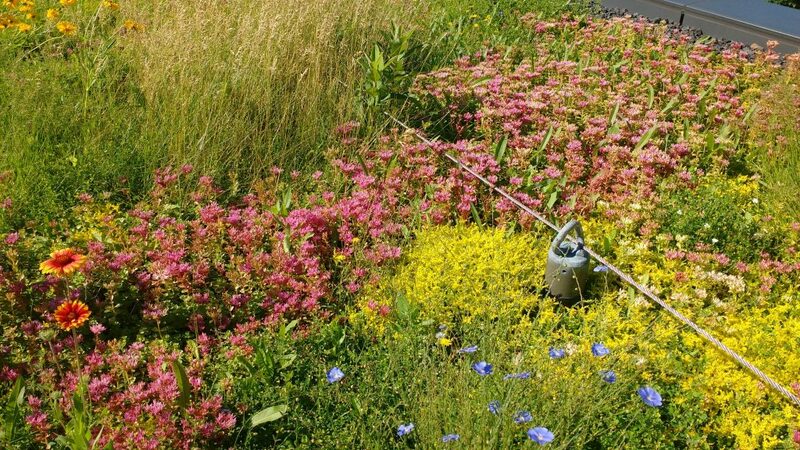 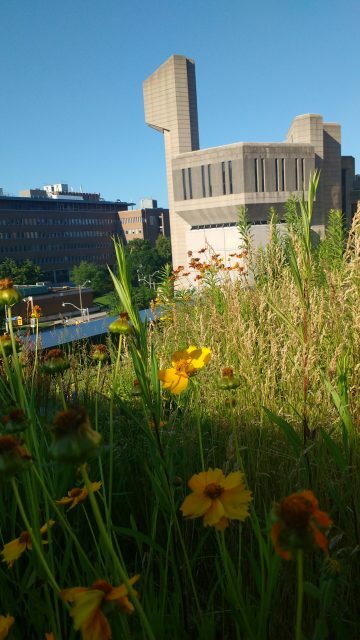 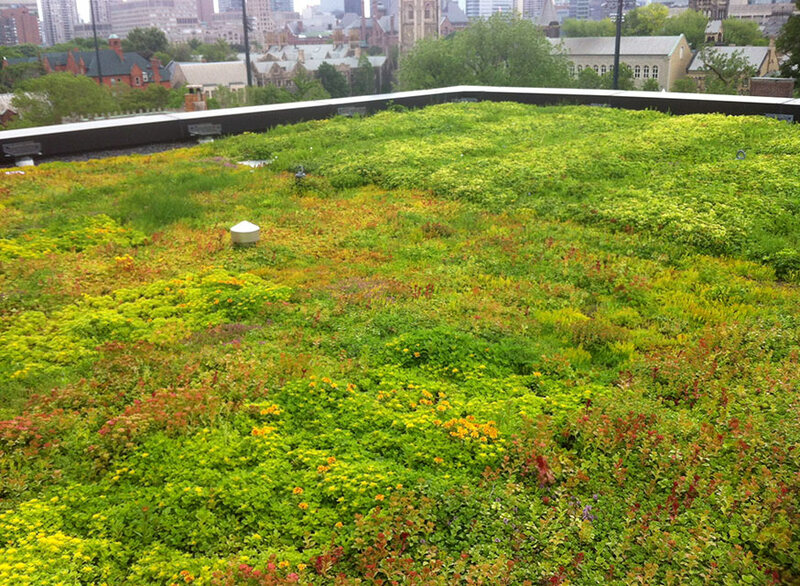 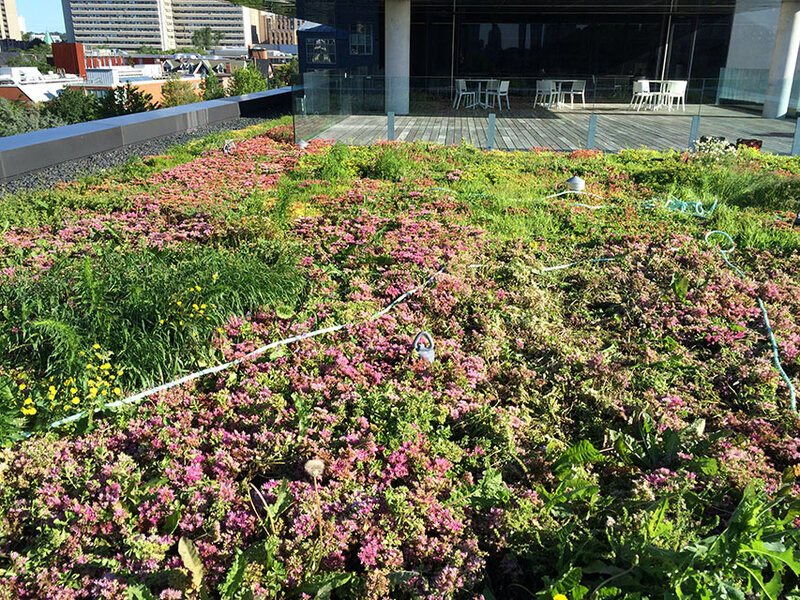 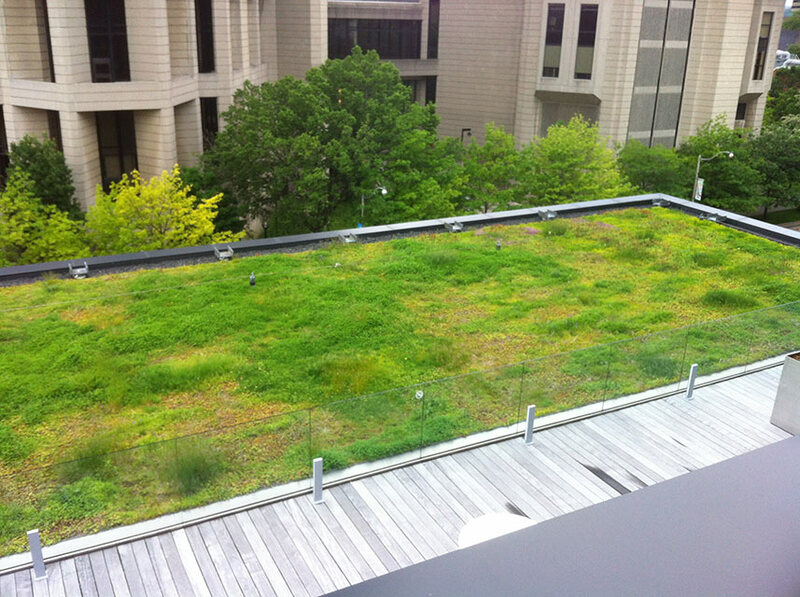 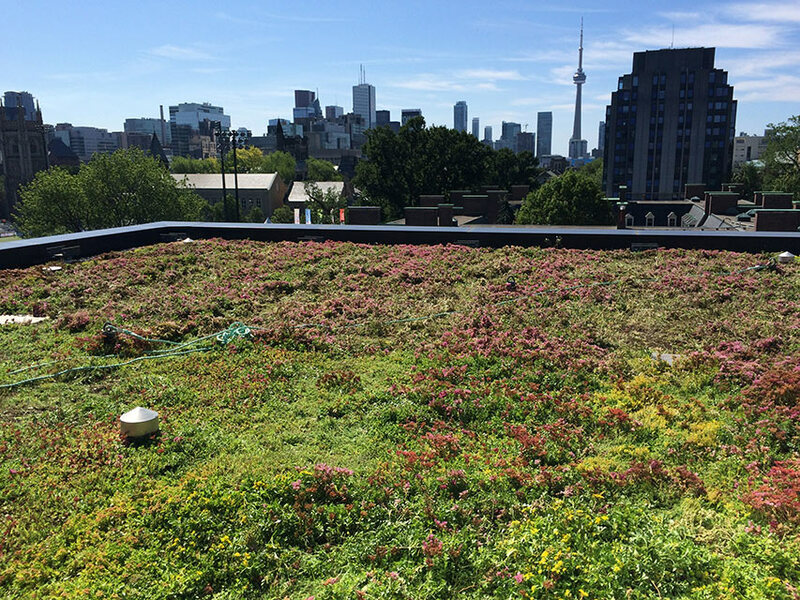 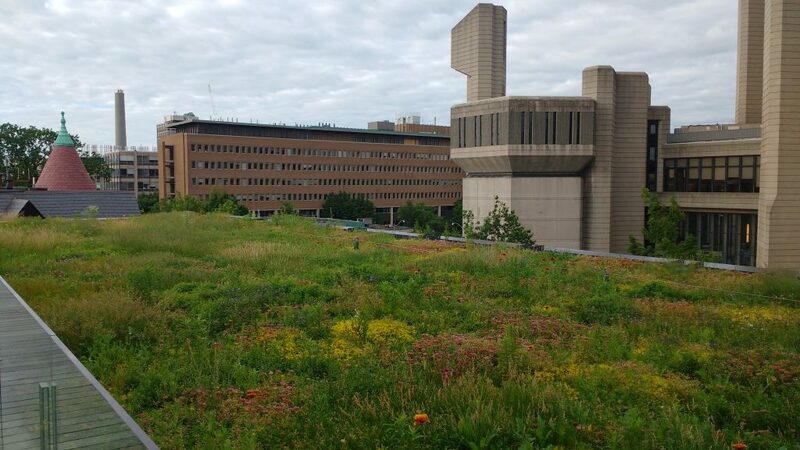 As one of our maintenance sites, it is also an example of a green roof that has successfully incorporated biodiversity principles into its maintenance program. 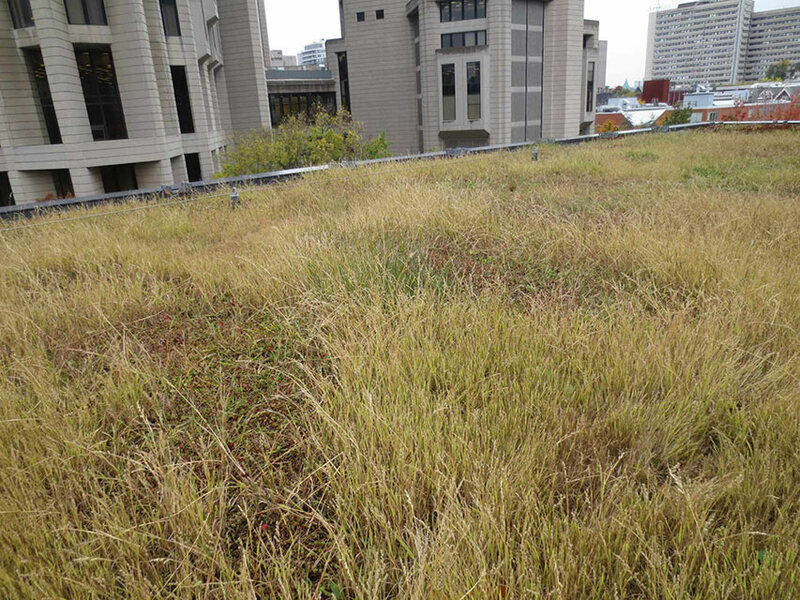 Maintained as a meadow grassland, the green roof features logs and branches in an area with historic die-off caused by lack of direct light. 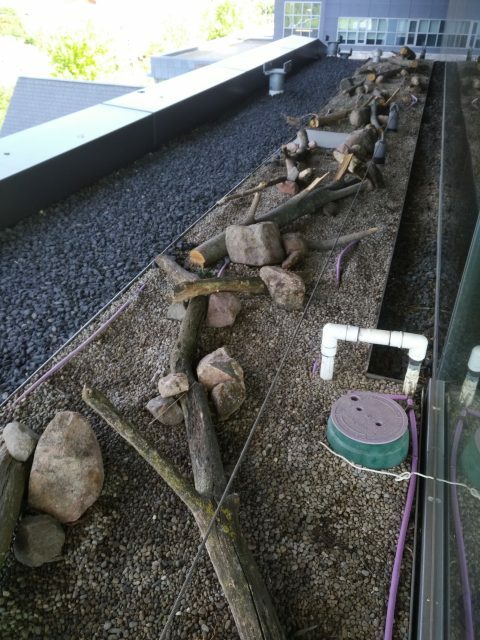 The logs create perching grounds and nesting structures for birds or insects, and the wildflowers attract pollinators during the spring and summer months.